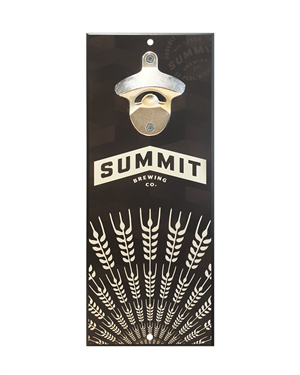 Featuring our signature barley burst design and the Summit Brewing Co. chevron logo in cream, this wall-mount bottle opener comes in striking brown hardboard material with a metal bottle opener already attached. 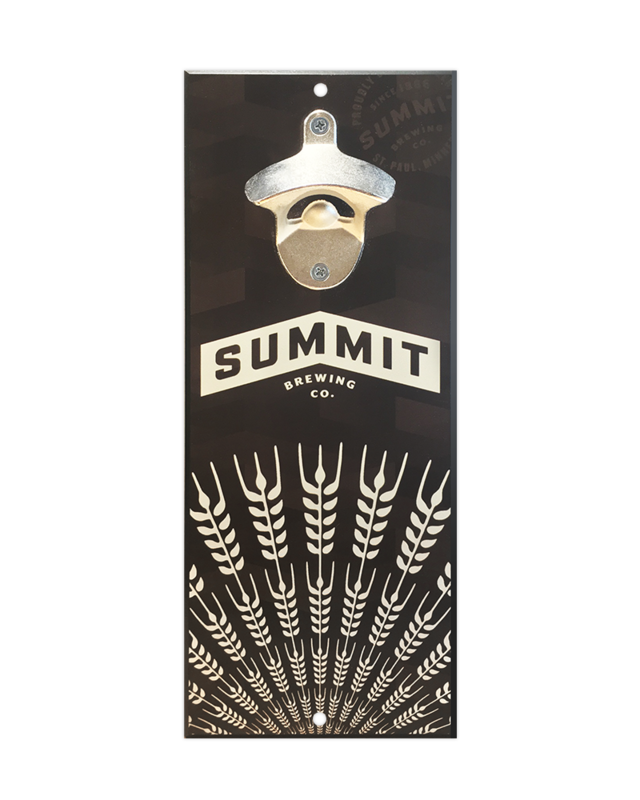 Secure it to the wall in your garage, kitchen, man cave, or anywhere else you like to crack open Summit beers, because, well, that’s what it’s for. Made in the USA, it measures approx. 5x11”, 3/8” thick, and weighs right around .9 lb.